PostIndependent.com: "For the month as a whole, RFTA hauled 173,403 passengers on the Highway 82 corridor in September this year compared to 129,602 for the same month last year. That’s an increase of 34 percent. Blankenship noted RFTA offered free rides for the first four days that expanded bus service was available so that probably buoyed ridership to some extent. The real test for the expanded service will be during October and November, which are part of the fall off-season, he said. 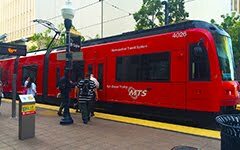 The September ridership numbers are the latest available."